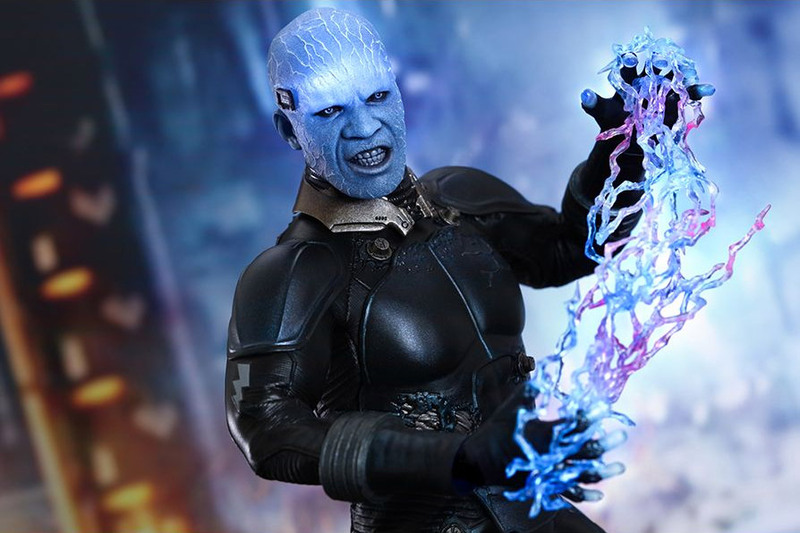 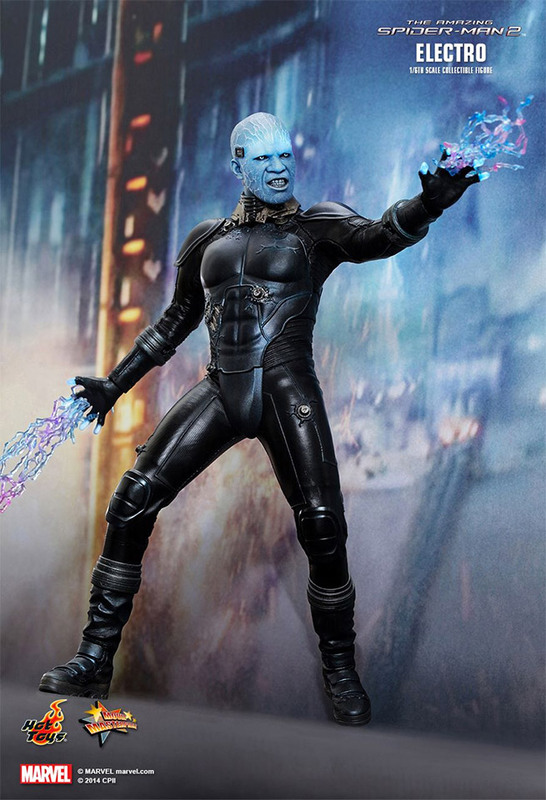 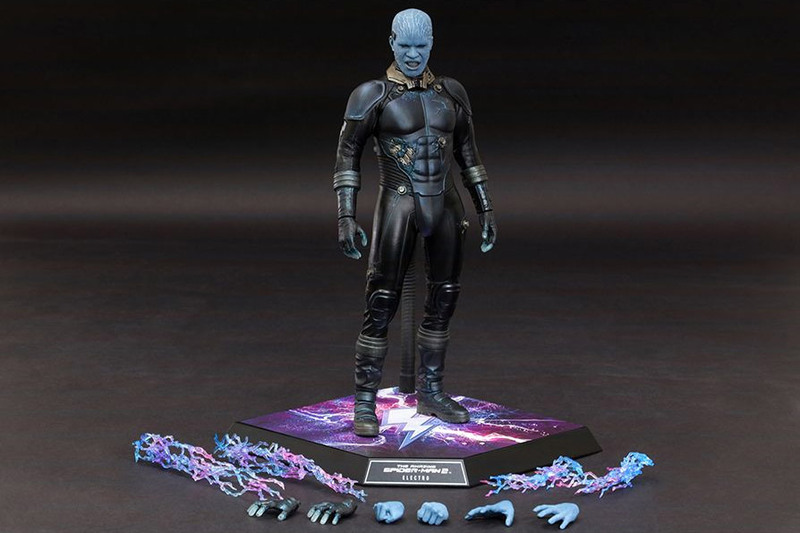 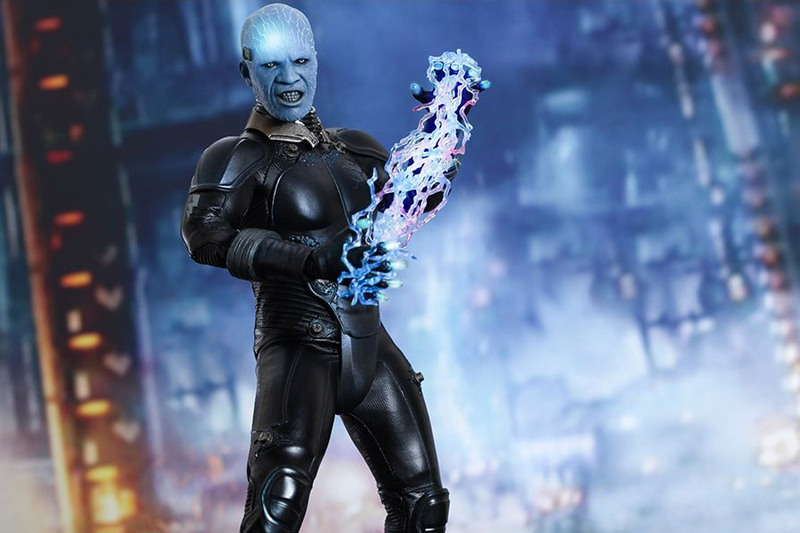 Hot Toys has introduced this astounding collectible Electro figure based on the Jamie Foxx portrayed character in The Amazing Spider-Man 2. 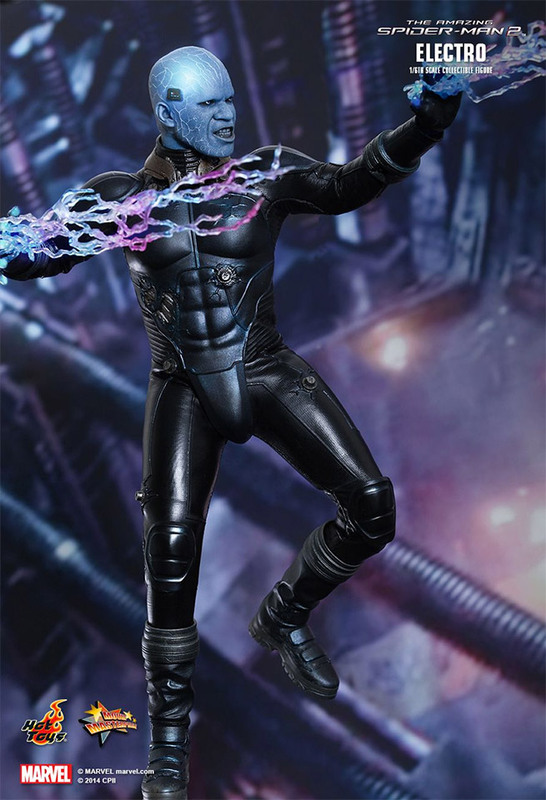 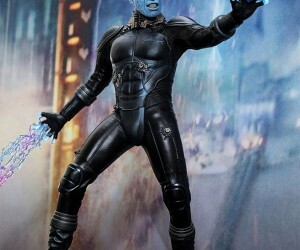 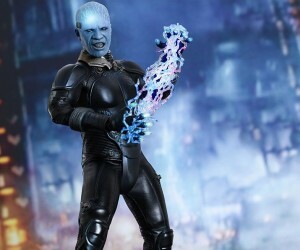 The movie-accurate Electro is crafted based on the shocking character as protrayed by Foxx on screen and has a highly detailed costume and even lighting shooting from his fingers. 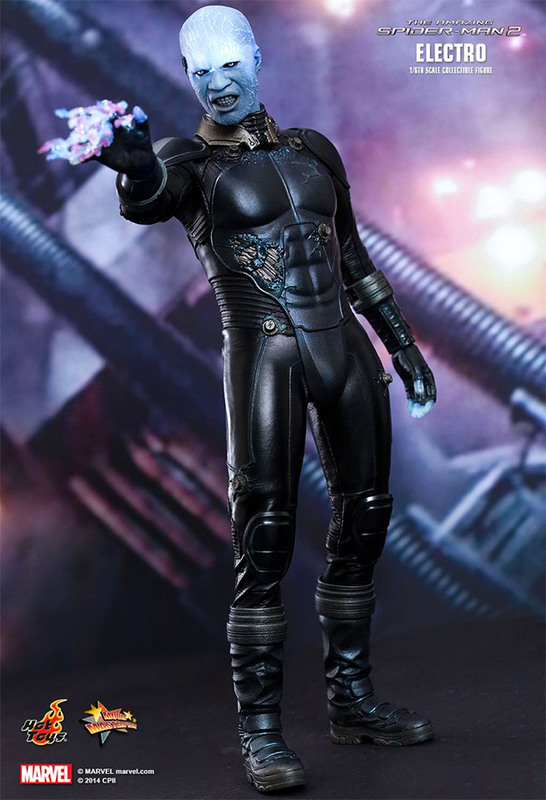 The costume is a specially tailored blue/black Electro suit with one pair of bluish/black boots and 2 pairs of real-like lighting bolts. 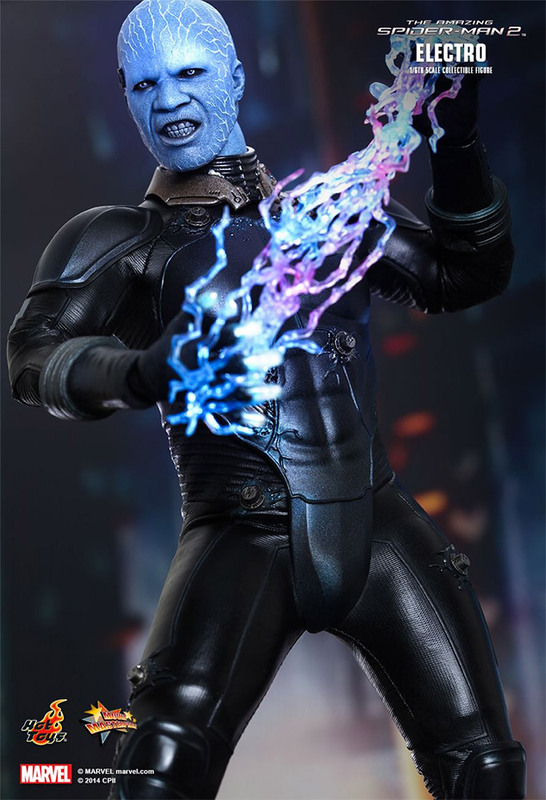 The figure will be released in the first half of 2015.